This week on Costume Analytics we are taking a look at an extant garment from the 1780s. 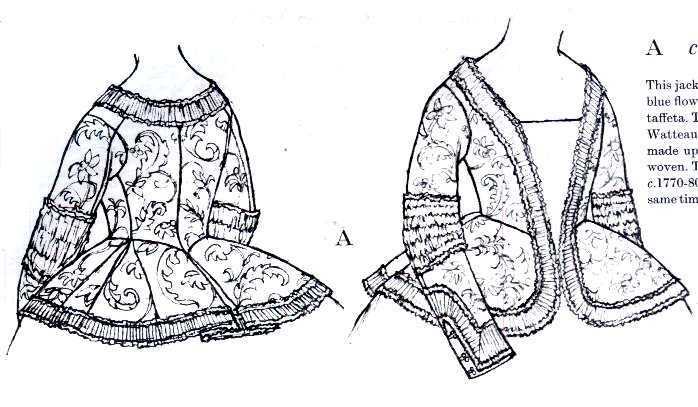 This little jacket is known as a "casaquin," a short jacket usually pleated at the back, front closing over a stomacher, and often with fluffy trimmings such as lace or ruched organza. 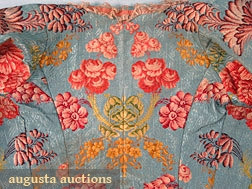 This little jacket features some beautiful floral silk typical of French textiles of the time. 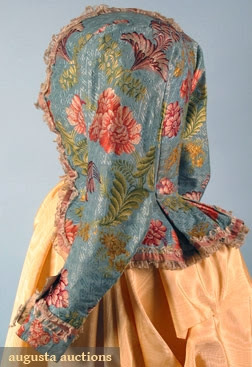 It appears to be fairly heavy in hand, with the woven floral pattern but also a tone-on-tone hatch mark pattern that gives the fabric and interesting sheen. 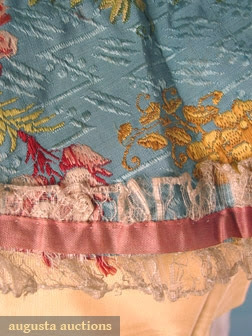 The trim is a lace, now quite deteriorated, with a pink ribbon running through the middle of it, to cover the gathering stitch on the lace. The trim runs all the way around the neckline, and through the pleated back. Trim also decorates the cuffs where they are turned up. 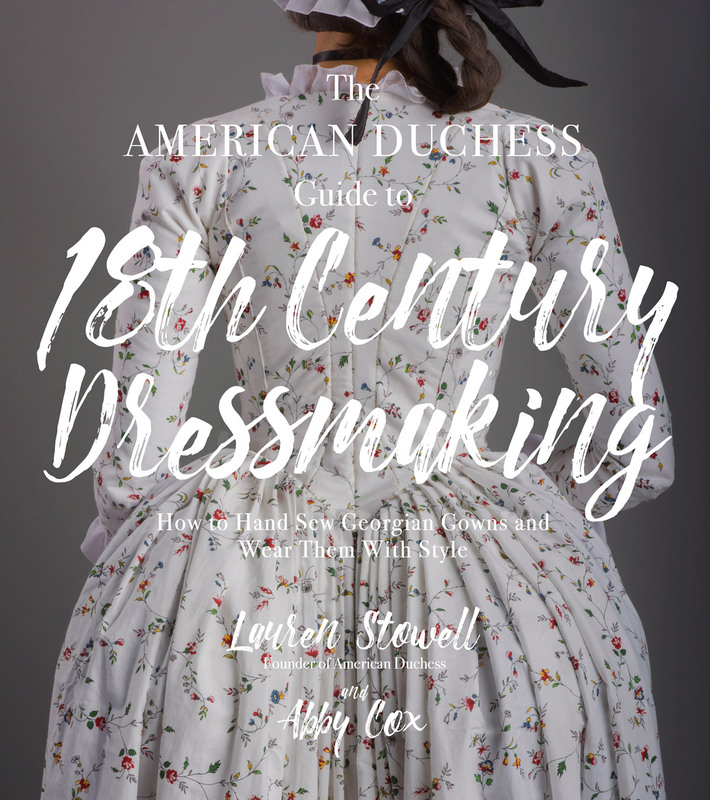 The jacket is constructed for a tight fit over a stomacher (not surviving). 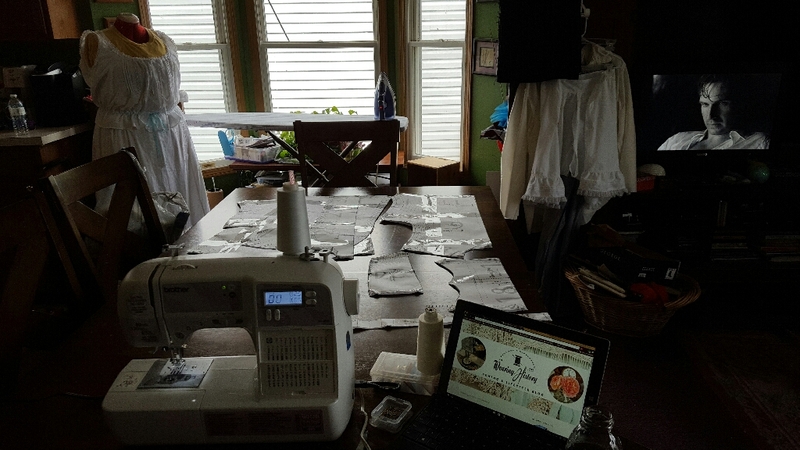 We have a single pattern piece for the front, flaring into the skirt, and two pieces for the back (side back and back), with a seam down the center back. 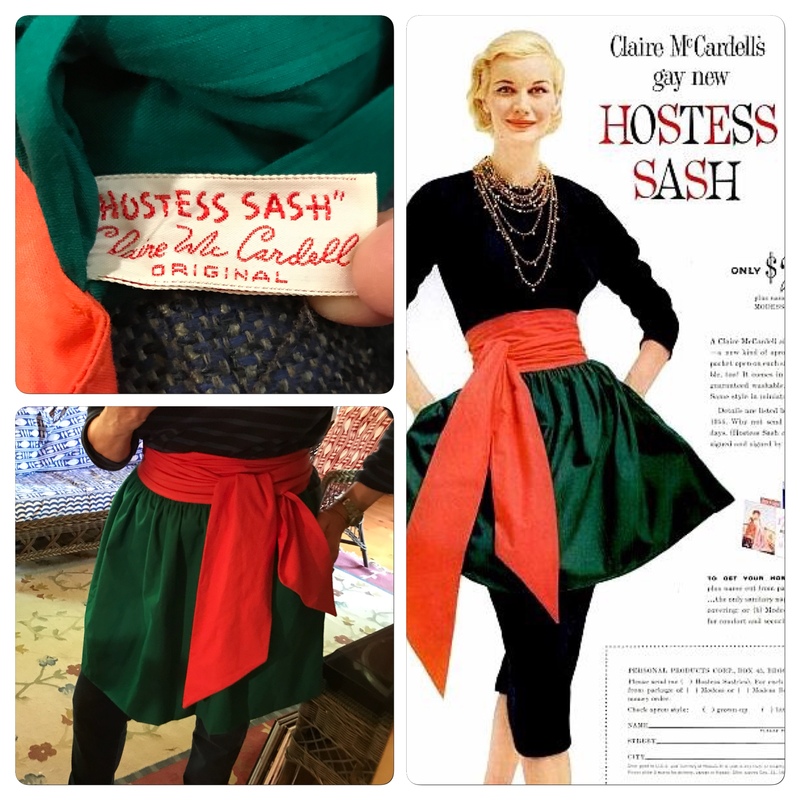 There is no waist seam, and the pieces flare and have extensions to each side that meet and form the inverted box pleats at center back and side back seams. These pleats appear to be single pleats only. 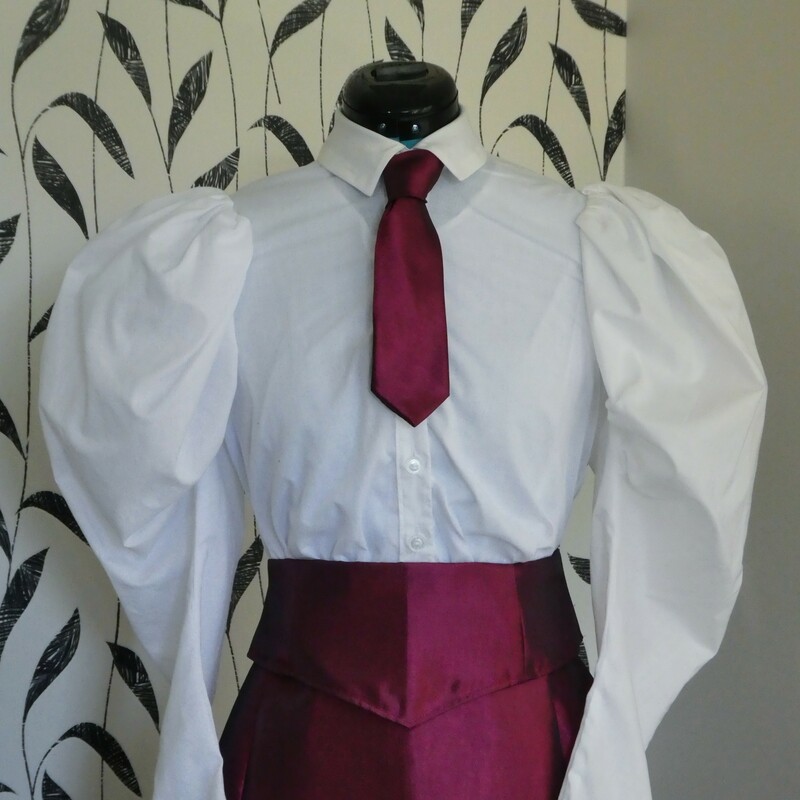 The sleeves are two pieces, and curve slightly. 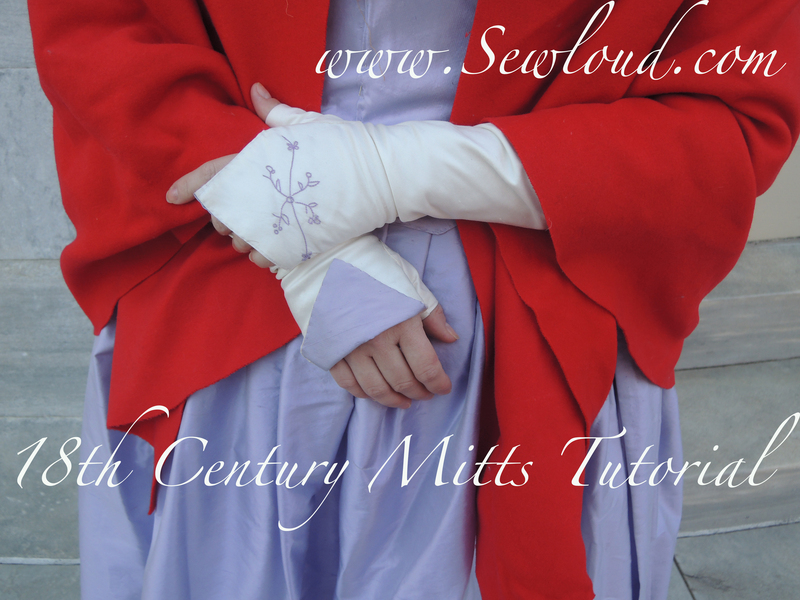 They are full-length sleeves, with a cuff at the wrist, which may be false, only made to look like a cuff with the addition of the trim. 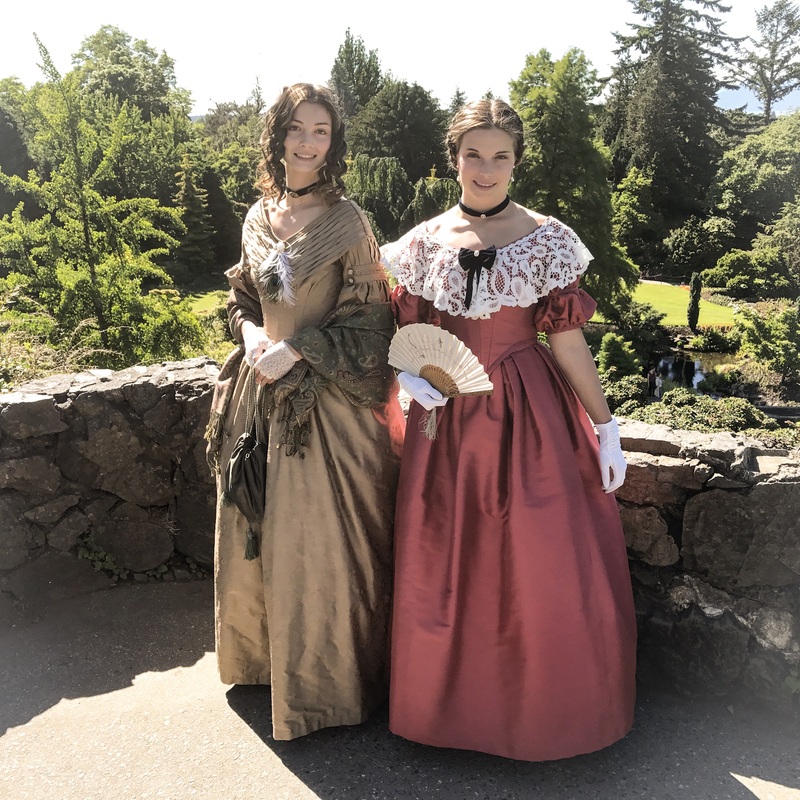 It is difficult to tell how this jacket would have closed - possibly with lacings across a stomacher, or it may have been pinned to the stomacher on the edges. Short jackets like these were popular as items of "undress." That is, they were worn for everyday occasions as opposed to formal appearances at court, etc. 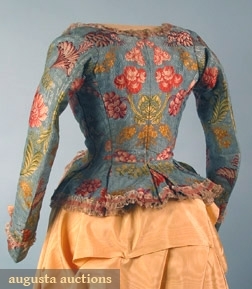 This jacket would most likely have been worn with a walking-length skirt and a good many skirt supports, such as a bumpad, and multiple petticoats. 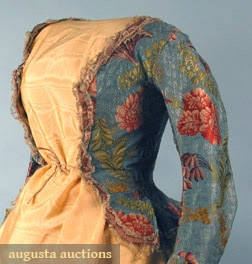 A lady would have worn this jacket over stays, a chemise, all those skirt supports, and hanging pockets. The shoes would be visible under the skirt, so wear your nice ones! Patterned or embroidered stockings would also be seen. Top the ensemble off with a jaunty hat perched atop your wig. Try home decorator fabrics such as jacquard, for a medium-weight floral pattern with some sheen to it. Fashion Fabrics Club has a pretty spot-on example! 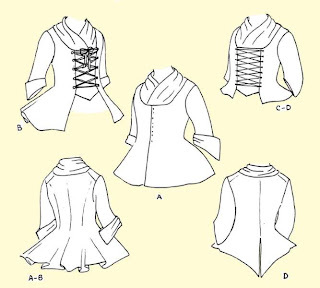 Try the JP Ryan pattern for jackets, or scale the Janet Arnold pattern . If you have a caraco, shorten it to make a casaquin! If you don't fancy gathering up lace, try the pre-ruffled stuff you can buy on the roll. Go for a fairly open design, and run a contrasting ribbon through the middle to finish it off. If you don't like the lace, try self-trimming with the same fabric as you've made your jacket. 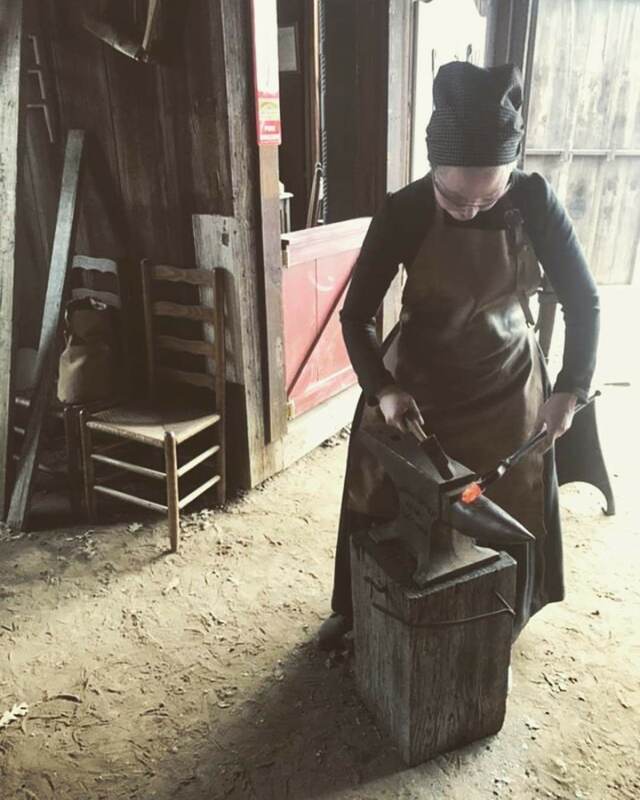 Pleat it up, ruche it, or lightly gather it. 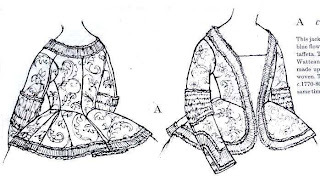 Lacey bits seem to be a hallmark of the casaquin, evidenced in the fashion plates below, but other museum examples of extant garments show various types of self-trims as well. If long sleeves are not for you, 3/4 sleeves with flounces would look lovely too. 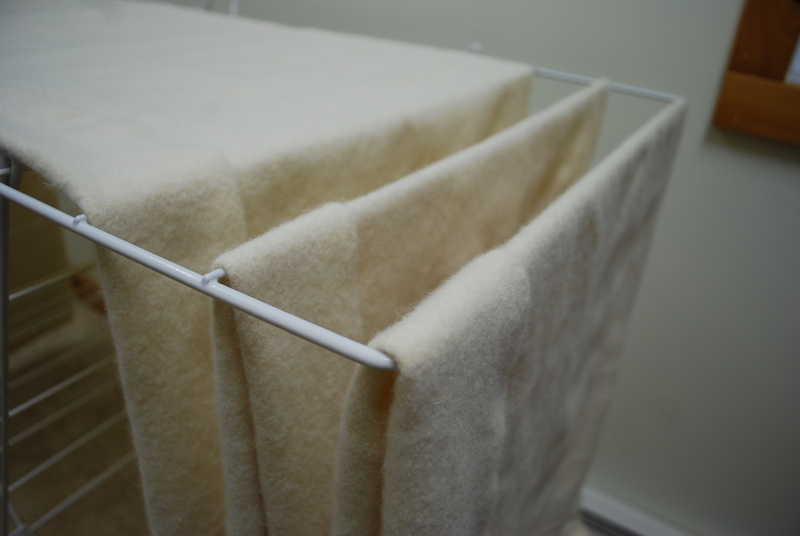 For more fullness to the back, double or triple box pleat the inverted pleats. For more about casaquins, take a look at The 18th Century Notebook. 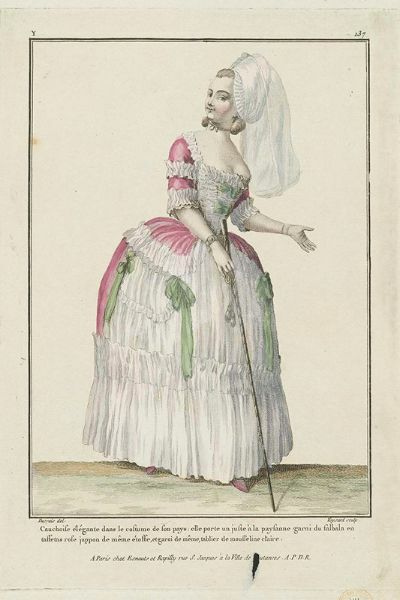 Two fashion plates from the 1780s in the collections of the Museum of Fine Arts, Boston. What's the difference between a casquin and a caraco? 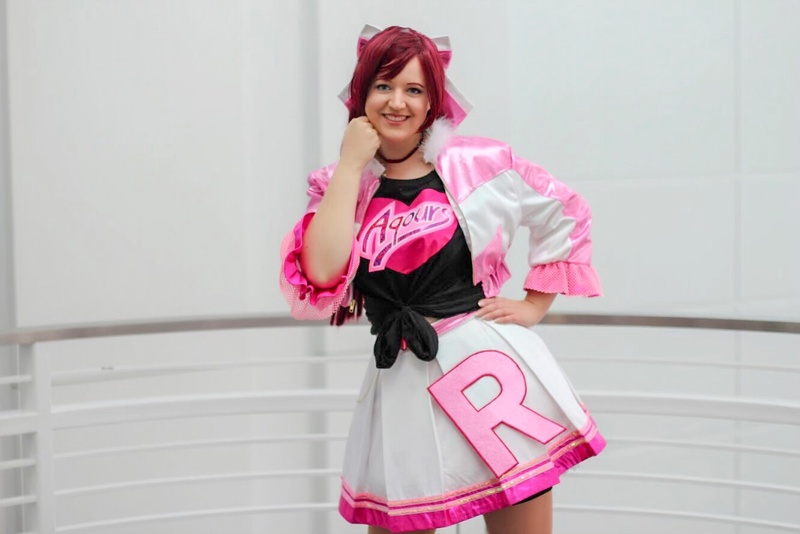 Wow, beautiful fabric and I love costume analytics! Olympe, "Anonymous" is right. I'm no expert, but it seems like the caraco has a longer length, whereas the casaquin is hip-length. 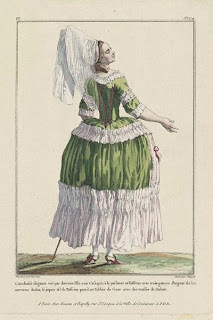 It still has a skirt on it, so it's not a pierrot (more like a bodice with a ruffle on the back), and it's got a fitted back, so it's not a pet en l'ier. A hallmark also appears to be the trimmings, with the ruched bits or the lace. 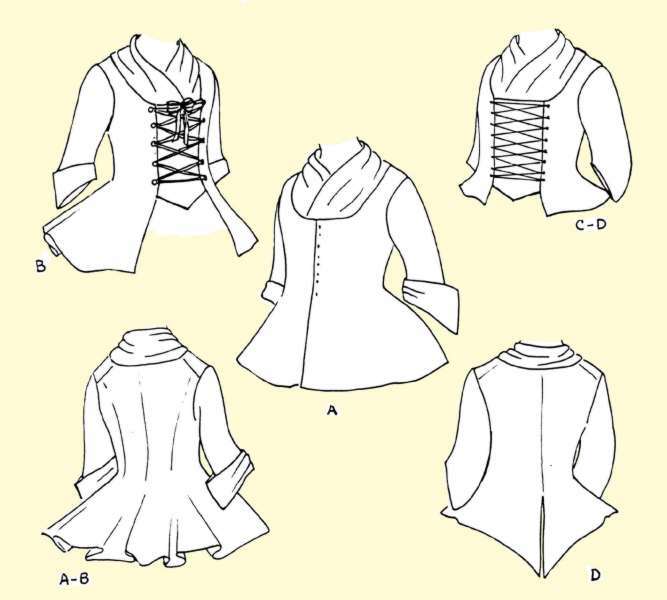 It looks like there are 3/4 sleeve styles as well as full length sleeves, and I haven't found any references for a comperes front (false front with buttons or hooks). I think I need to do a post about all these different kinds of jackets!